Any sales, discounts or mark downs may end at any time without notice. You can now choose to pay with your Credit/Debit Card or you can pay with PayPal. You can choose your payment method during checkout. 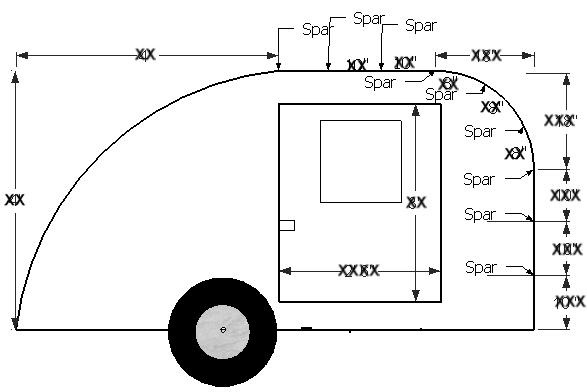 #1 Selling Teardrop Trailer Plans! 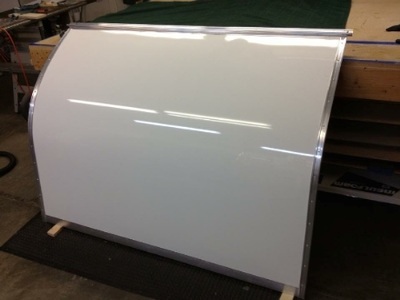 Plans, Instructions and Materials List. Instructions For Using One Of The Little Bolt Together Trailers For The Frame. 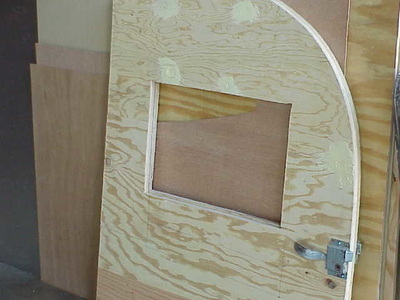 Free 5 x 8 Trailer Frame Plans In Case You Want To Build Your Own Trailer Frame. 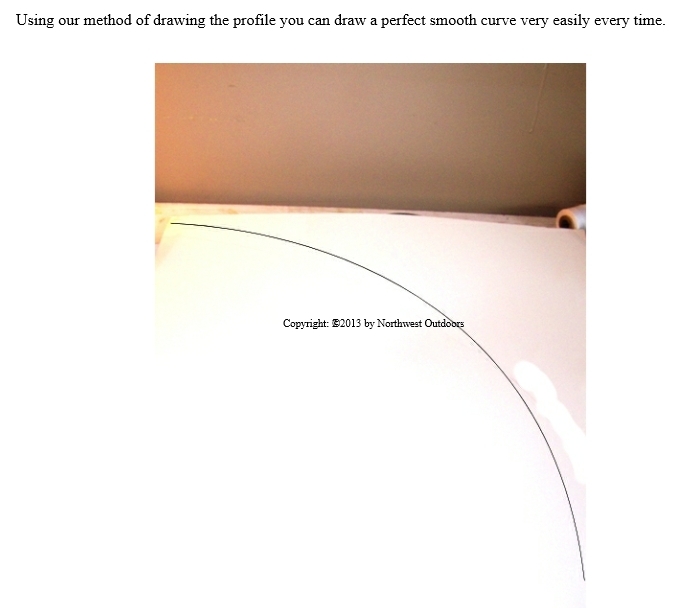 A Super Easy Method For Drawing The Perfect Profile. Easy Instructions For Building The Hatch Using A Cut Piece From The Wall For A Template. Free List Of Parts Suppliers. Several Other Valuable Free Bonus Files. 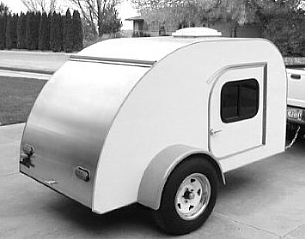 This is our Classic 5 x 8 Teardrop Trailer Plans. Both sets of teardrop plans we sell contain the instructions for building the teardrop using one of the little bolt together trailers for the frame. 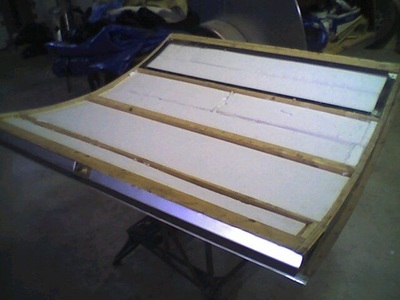 Both sets also come with a free set of plans for building the trailer frame yourself if you should wish to do so. You also get a free list of parts suppliers as well as several other free files. You will find that the description for our 5 x 10 teardrop trailer plans will be very similar to our 5 x 8 teardrop plans and that is because the 5 x 10 teardrop plans originated from our 5 x 8 teardrop plans. The only real differences is the size and profile. When I decided to build my first teardrop trailer, I had purchased 3 different sets of plans and I was unable to use ANY of them. They were either incomplete, badly copied old magazine article, or just plain unsafe. After becoming frustrated, I spoke to a friend who designs and builds truck trailers, and he helped me come up with this design and set of plans, then as I built my first trailer, we wrote out step by step, easy to understand instructions. And fortunately for you, we have now built five of the teardrop trailers and we learned a few tricks along the way, so we updated the instructions and included some tips and tricks we learned to give you the best information possible. 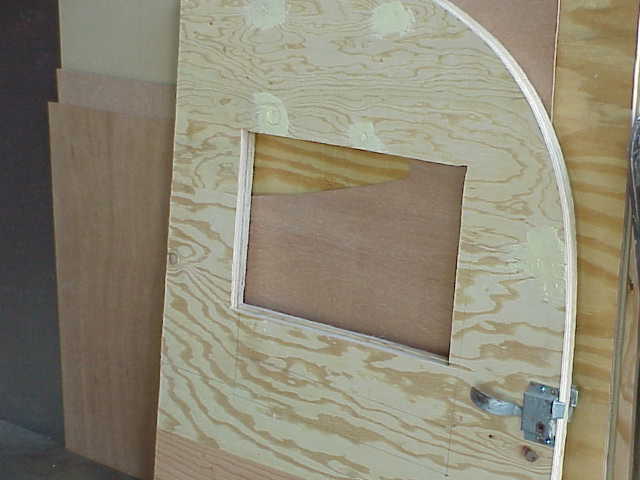 We spent more hours on our first set of teardrop plans then I care to remember, I am talking months. But we wanted to have the best plans and instructions available, so we were not just trying to get them finished, we wanted perfection. One of our customers biggest concerns was drawing the profile. I think one of the best features of our teardrop plans is the super easy method we give you for drawing the profile. You will not need any specialty tools and you will be able to draw a perfect smooth curve even if you can't draw a straight line. The 5 x 8 and the 5 x 10 teardrop trailers will accommodate a queen size bed or mattress. 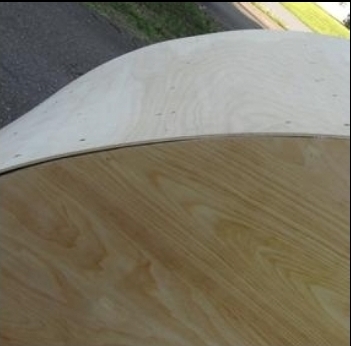 The plans include all the info you need to be able to build the teardrop from start to finish. 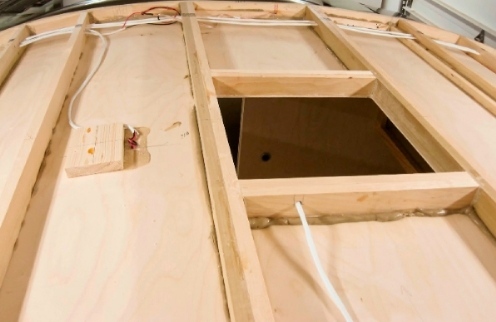 Including the wiring diagram with instructions on how to wire your trailer for your inside and outside lights and outlets. The drawings, sketches, photos, measurements and step by step instructions and materials list are all together in the plans. Plus this little camp trailer is very light weight. So you can pull it behind a Nissan Altima if you want to, and still get good gas mileage. You can customize any part of this camp trailer to suit your needs. We made our 5 x 8 and 5 x 10 teardrop trailers easy to build with time and money saving tips and tricks that will help you easily build this teardrop trailer in no time and for less cost.